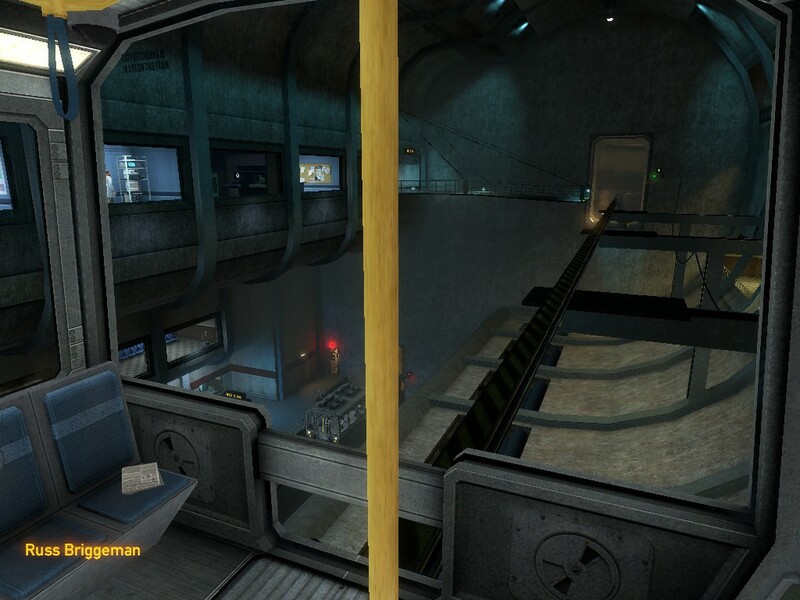 I finished Black Mesa tonight– the 14 chapters that are available. It retains its visual impressiveness throughout, but man oh man did I hate the last chapter (Lambda Core). 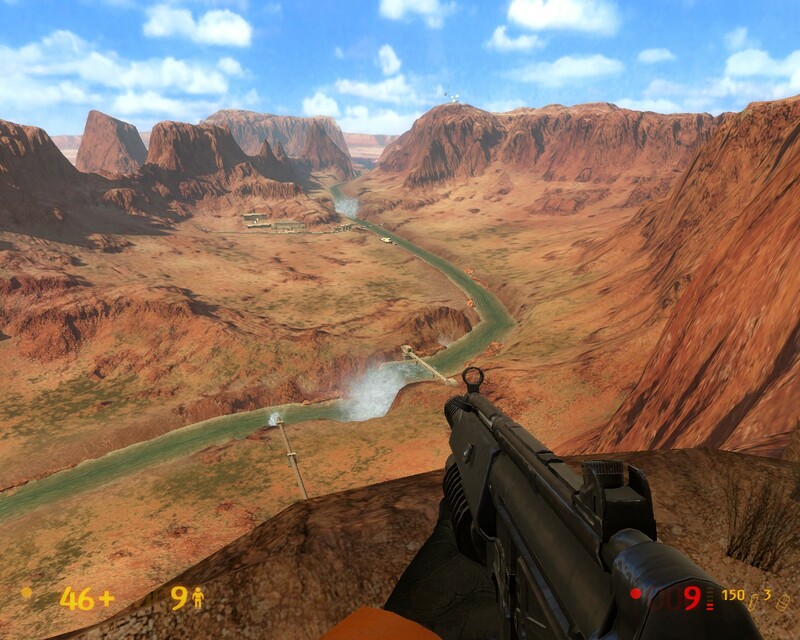 It’s a master class in horrible map design… though I don’t know whose, Valve’s or Black Mesa‘s. Since I have a screenshot from a particularly annoying spot in chapter 12, let’s start there. Now, the rest of the game taught you that blue lasers are Bad– but that you can shoot the mines from a safe distance. Not here! Here, doing that will kill you. Making things you’ve seen before suddenly act differently is game designer dickery. Change the color or something. You HL1 fans are probably saying “I remember that room! That was great! It took me two hours to get through it.” There was a similar room in HL2, and I loved/hated it too. But that one was about three times less complex. A little dodging and jumping and crawling to avoid death-lasers goes a long way. Also, I’d say Valve learned in HL2 to make the required path way more discoverable. You should have a vantage point or something to reconnoitre. But it’s really hard to see how to get through this room. Then there’s Lambda Core. The basic problem is that there’s almost no guidance, and little logic. I was following a walkthrough, and I’d have to go a couple sentences at a time, because none of it makes any sense. Sometimes you go down, sometimes up. There’s a million ladders and control panels and only some of them are relevant. You eventually learn to press buttons, but there’s no immediate feedback. Once you have to push the button, then ride a rising shutter that it releases; another button has the rising shutter but you don’t have to ride it. It just all seemed completely baffling and arbitrary. In some control rooms there’s a diagram, with lights that turn green as you make progress. Great! Only there’s no indication as to where the next red light is. 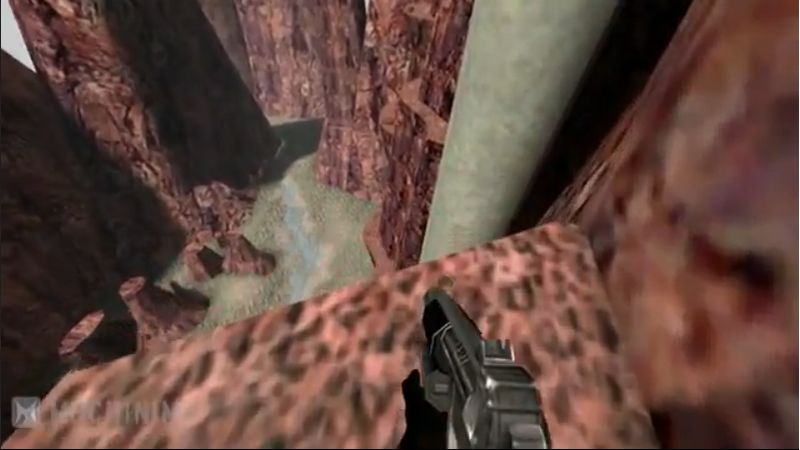 An earlier puzzle in the same game was done right– the huge laser that has to be powered up, then fired at a wall. Its diagram is also a (simple) map of the level, so you can orient yourself and figure out where you need to go. Plus, the power lasers are visible and lead to the main laser, also helping to orient you and give feedback. From the walkthrough, I learned that the different sections of Lambda Core are color-coded… but this didn’t carry through to those diagrams. Plus they were really stingy with ammo and health, which just doesn’t fit the rest of the game, nor HL2. Then there’s the room with the teleports, with, oh god, more split-second jumps. There was a neat idea in there, but the implementation is just hostile. Nothing about the energy bulbs suggests teleportation (rather than, say, fiery energy death); the in and out bulbs looked too much alike; it was very hard to see the destination bulbs (and you have to see them to time your jump); the bulbs looked too much like the chamber’s ordinary lamps. I should emphasize that 90% of the game is just fine– dead ends are short, and you can find the right way by process of elimination, if nothing else. This chapter just should have been reworked a bit by 2012 standards. Death in real life is, so far, permanent. Though this is comforting when it comes to, say, Hitler, permadeath is arguably a bad design decision. It’s been emulated by a few games, as it adds a certain weightiness to your choices. But to be frank, permadeath fans are probably really good at the game already, so it’s just an extra challenge for the jaded. In a roguelike game like Dredmor, I think it just inhibits the player from exploring. The thought of redoing eight levels has made me reluctant to even continue the game. Adventure games normally just sweep death under the carpet. 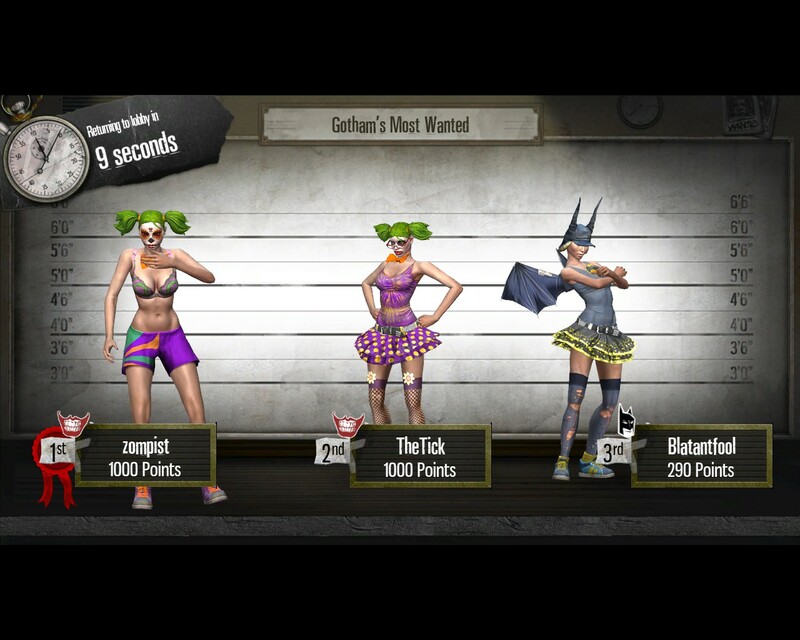 The game coughs politely (or, as in the Arkham games, razzes you a bit), then pretends it didn’t happen. No real problems there, except metaphysical ones. A successful run through Half-Life 2 or Skyrim basically consist of spliced-together sequences each of which ended in failure. The most intriguing approach is to make respawning an acknowledged part of the gameworld. 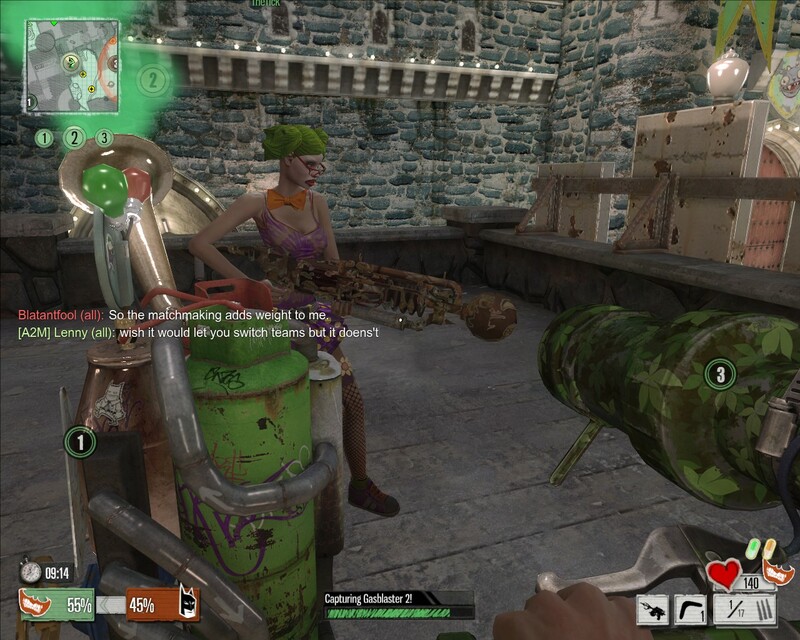 Bioshock and Borderlands have this: if you die, you’re reconstituted elsewhere as part of the in-game technology. In terms of player experience it’s much like any other respawn, but it’s a stunning bit of conworlding, as it means that in the gameworld, death is only a setback. However, even these games don’t really treat this consistently. 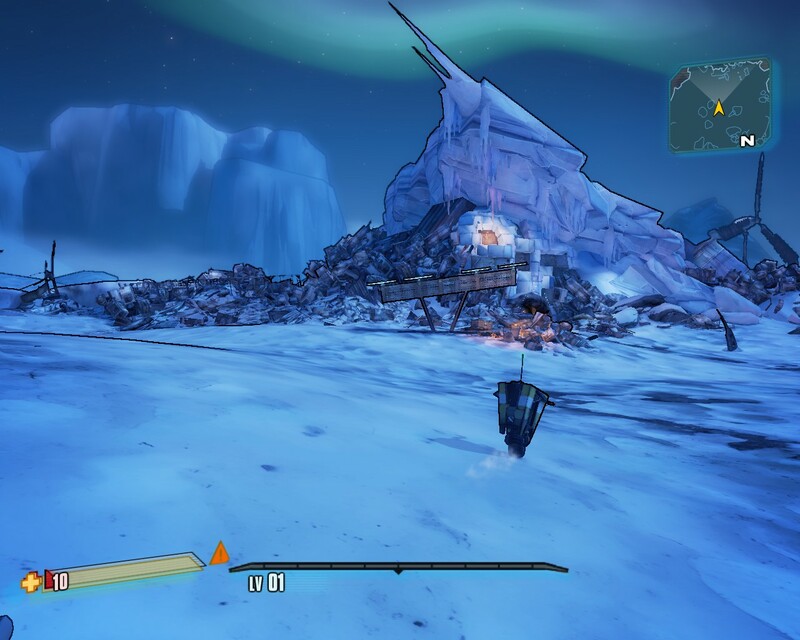 Borderlands comes close, in that enemies respawn if you leave an area for a bit, but people still give you quests where you have to kill boss X, and it’s assumed that doing so has consequences…. even though you can later return to the same spot and kill them again. One of the NPCs, Roland, is killed near the end of the game. This is treated as a big bummer. But Roland was one of the player characters in BL1. So even if not everyone can be resurrected, he can be. He’s registered in the New-U database. (The database belongs to the evil megacorp, Hyperion– but they never prevent you, the player,from respawning, though you’re an even bigger threat than Roland.) This bugs me, because they went to the trouble of making the New-U an actual part of the conworld, and then didn’t work out the consequences. An interesting mechanic might be a horcrux or something that allows some but not all characters to respawn. Naturally the PC gets one… but you might have to perform one mission without it. (I.e., that mission must be completeed without a death.) And some of the bosses could have a horcrux which must be demolished before you can actually permakill them. Nothing could ever go wrong if you entrust your data to a megacorporation, right? I have a throwaway Yahoo account for when I need another e-mail address, and someone seems to be mining it to send spam. I went to check it out, and Yahoo wants me to validate it by having them send a message to my phone. Now, they don’t have my phone number, and I don’t have a cel phone. So, no e-mail access. It’s a minor inconvenience– my real mail is on my personal computer. But it underlines why I don’t trust The Cloud. Data that’s not on your personal media is effectively owned by the people who host it. Edit: I was able to reset the password, so that’s nice. Still can’t figure out how someone spammed my contacts. But mostly I’m boggling at Yahoo having a policy that adds no security and locks people out of their accounts. As you know if you’re a video game geek, Black Mesa came out this month, after an astonishing eight years of development. There was some talk of a 2009 release; when that didn’t happen the release date changed to “when it’s done”, and those of us who were looking forward to it had to just go through life trying not to think about it. But now it’s here! And on my computer! For free! Just look at it! I’m sorry to say, I’m a graphics snob. I’ve never played HL1, for the same reason I’ve never played Morrowind: I just can’t handle the old graphics; they’re too ugly and unreal. Beyond Good & Evil is about as retro as I can handle, and that’s because it’s purposely cartoony. (I have watched Ross Scott’s hilarious Freeman’s Mind though.) So I was looking forward to Black Mesa in order to experience HL1. No, I don’t know that guy. 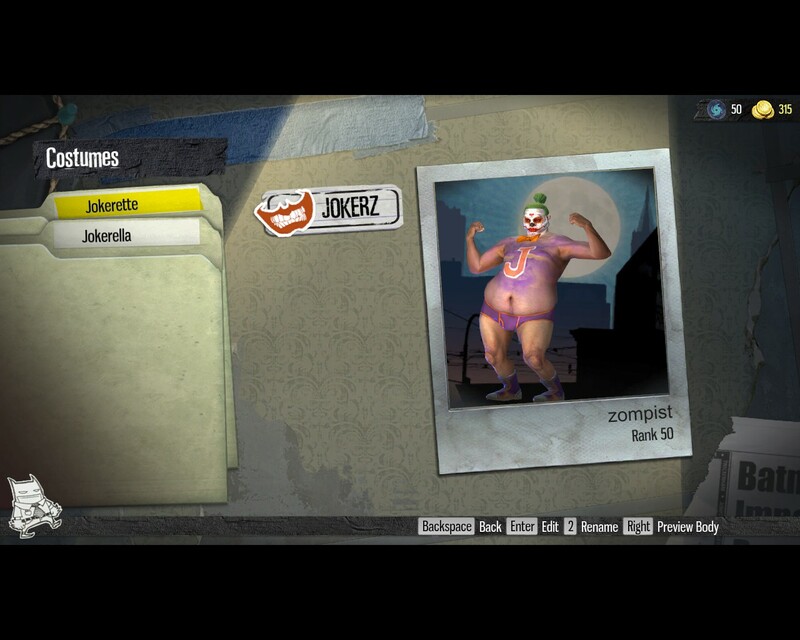 Just happened to hit the screenshot key right then. And it’s very Half-Lifey. It’s similar to HL2, except of course that HL1 starts in complete normalcy. Then things go to hell, and Gordon Freeman has to take a spectacularly convoluted route to the surface. 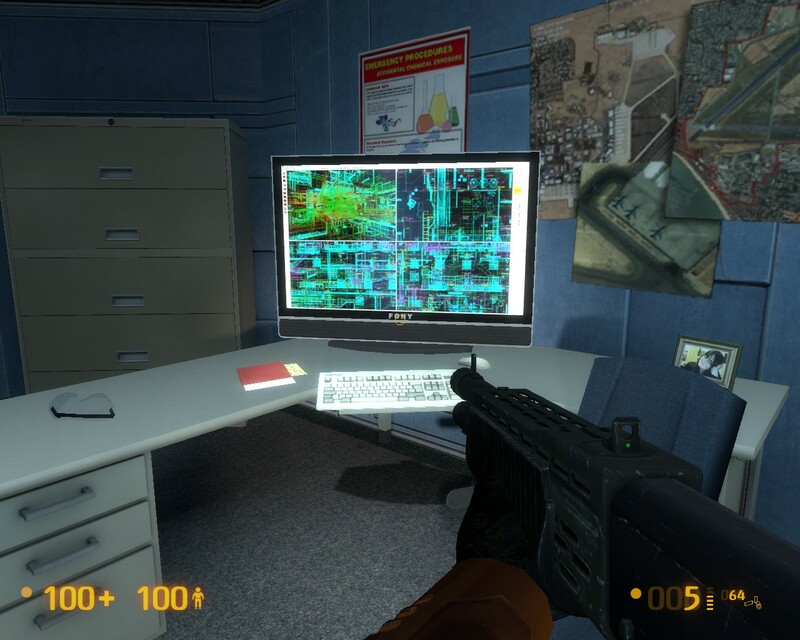 Then back down inside the Black Mesa complex, and back up, and back down, shooting enemies and solving a few puzzles along the way. And like HL1, it occasionally suffers from some confusing level design. The levels are mostly linear, but whenever they’re not, you can count on me to explore precisely the wrong areas and get lost, and then run around back and forth several times to find the path I missed. No wonder Gordon was late for his resonance cascade. I’m on chapter 12, of the 14 that have been released, and I have to say that some of the later chapters are a big sloggy. There are sections that rely a bit too much on precisely timed jumps, or pointless thumper-stompers… if this were my first video game ever I’d happily spend an hour mastering the timing on that one horrible jump, but by now I get tired of it. 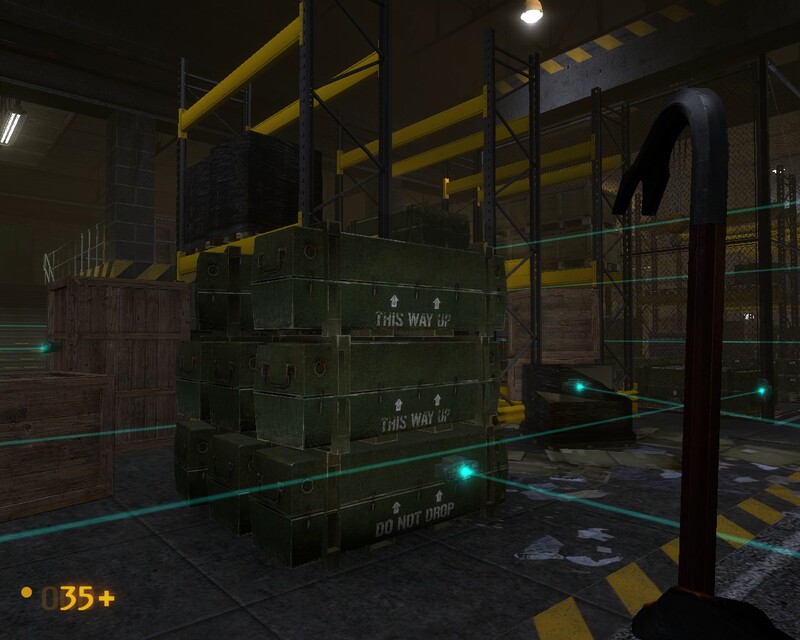 HL2 was pretty good at this– it was mostly simple physics puzzles, like the one with the concrete blocks. Unless your game is about parkour, I don’t want the solution to your puzzle to be a frigging fractional-second-timed jump. And then there’s that damn helicopter… A walkthrough I found says it’ll go away if it takes some damage, but emptying an attack rifle into it did nothing. Later you get a rocket launcher, and it took eight or ten rockets to get it down– really annoying when you can take them down in HL2 with three. Judging from Black Mesa, Valve’s storytelling has improved over time. HL1 is great science fiction: misguided scientists bring on the Alien Apocalypse. But it lacks humanity. There are no characters to speak of, including Gordon Freeman. Gordon doesn’t seem to care about any human being, and the player is given no reason to either. HL2 by contrast had a slew of memorable people, including one of the best villains in video games– the handsome, calm-voiced Dr. Breen, who betrays the human race while sincerely thinking he’s doing it the greatest of favors. Anyway, if you are one of the few people who liked HL2 but never played HL1, go get Black Mesa and see where it all started. One amusing bit… there’s an extra-large monitor in the Lambda lab, with a complicated wireframe display. I recognized it immediately– it’s a screenshot from Hammer, the HL map editor. Possibly showing the very map you’re in.